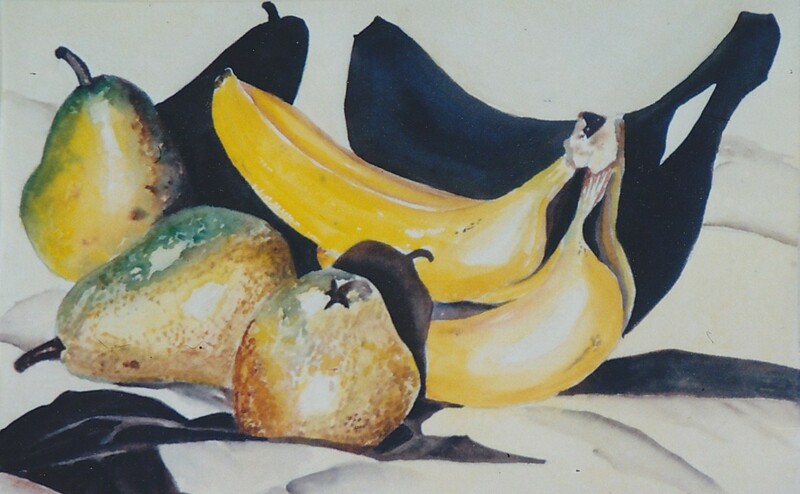 The Bananas, Pears and Shadows painting was created for the National Small Works Juried Exhibition 1998 show, which was named “Realism in Detail” in St. Cloud, Minnesota. Size 16×20. 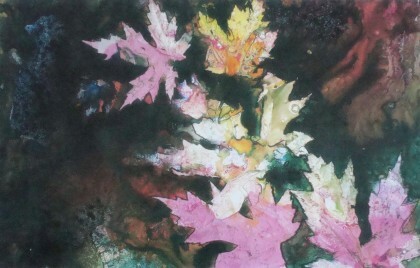 Pink maple leaves done with ink. This effect was created by utilizing maple leaves as a resist against yupo paper. In it’s original size it is 12×18. This picture was taken at the school where I volunteer. 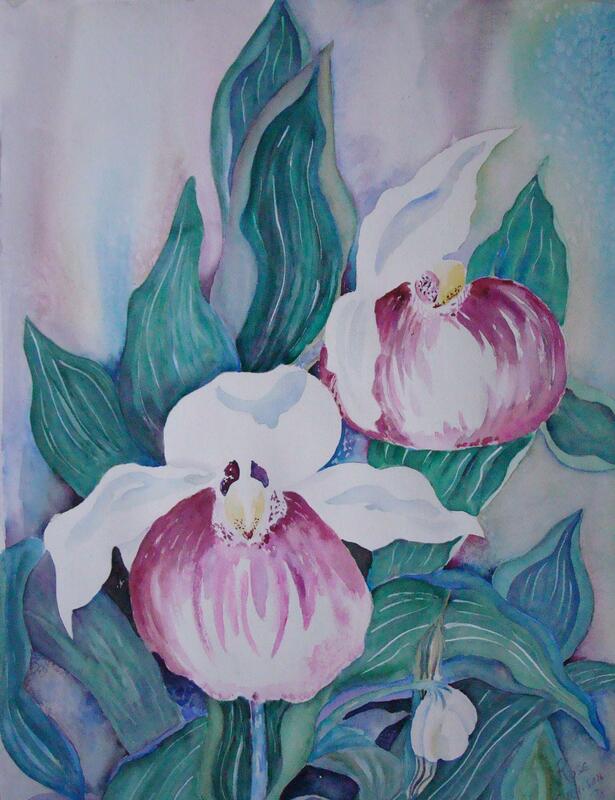 Lady slippers are notorious for being the state flower of Minnesota. I was lucky enough to have a friend of mine direct me to a location where they were growing in the wild. 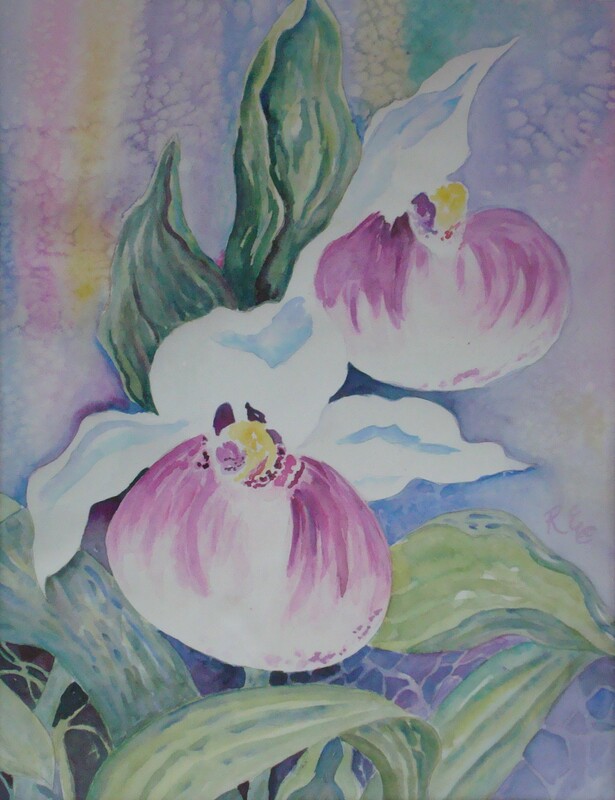 I wanted to do a large painting 22×26, for people to enjoy the size and beauty of this magnificent flower! 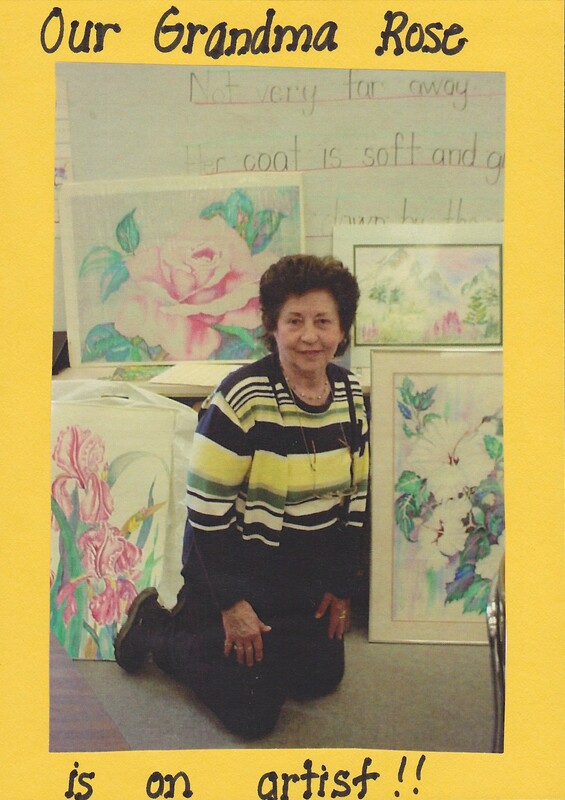 I created these paintings at two completely different times in my art career. Can you guess which one is the most recent creation?